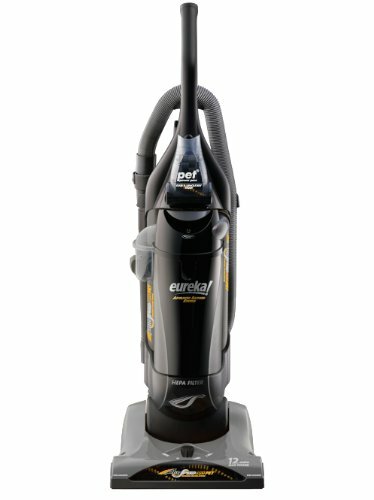 The Eureka AirSpeed Bagged Upright Vacuum is recommended for customers who are looking for a vacuum has high suction power and provides a deep cleaning performance. 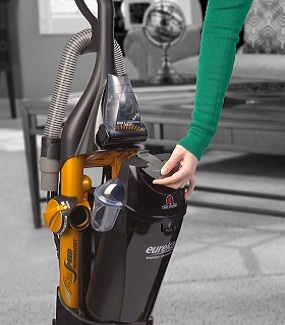 Equipped with 12 amps of power, this upright bagged vacuum is able to clean your home thoroughly. 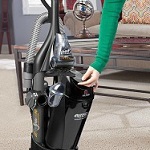 The AirSpeed vacuum has several features that make it a cool and hygienic choice for cleaning. 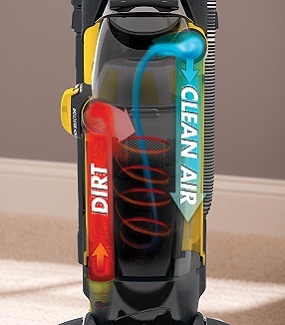 Built with a two tube system, the AirSpeed allows more air to enter the vacuum cleaner. 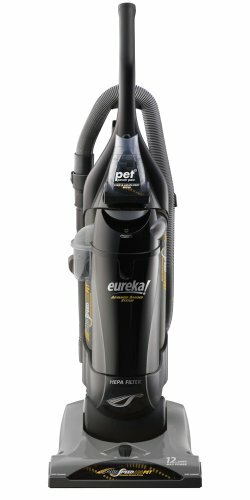 Installed with a Bag Change Indicator, the Eureka AirSpeed upright vacuum tells you when you need to replace the vacuum bag. An orange light indicates that the bag is full and needs replacement. Changing the vacuum bag is a mess free process. 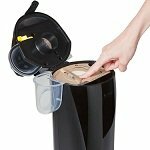 Remove the Filtrete bag by just opening the Quick Clean Lock bag changing system. Ideal for people who need to clean up after pets. 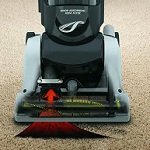 Its 14 inch wide cleaning path allows it to access hard to reach areas and better coverage of the carpets around your home. The clear view brush roll window allows you to see the brush roll action and also notice if anything gets tangled in the brush while cleaning. The suction control switch allows you to choose from where you want maximum suction, on the floor or the hose. The Pet Power Paw tool Pet Power Paw removes pet hair from carpet & upholster. Its plastic teeth loosen it, rubber strip grabs it and bristles remove it. 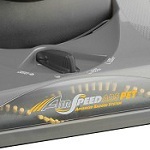 The key to the cleaning power of AirSpeed lies in its AirSpeed Technology. 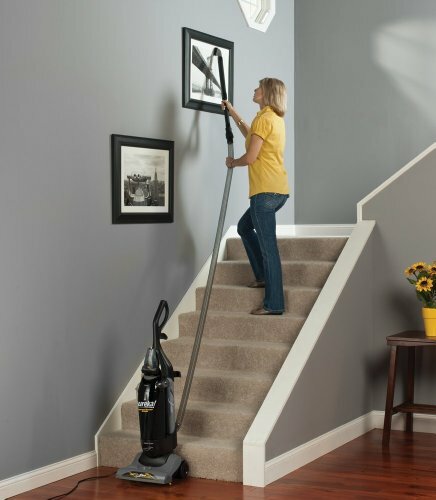 Unlike most other vacuums with a typically winding hose, AirSpeed Technology has two smooth tubes, featuring limited bends and turns. 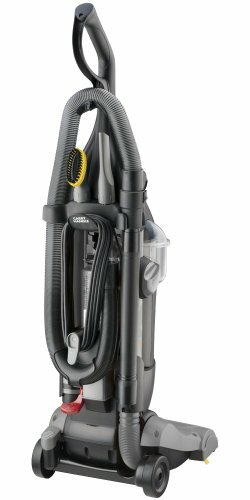 This allows more air to pass through the vacuum and offers a powerful, deep clean that removes more than just the dirt you can see. The direct air path from floor to cup decreases the distance for dirt to travel, which increases the amount of airflow for powerful suction. Eureka’s Whirlwind Cyclonic Technology offers maintained suction power and less maintenance** by separating larger debris from fine dust once the dirt is delivered to the dust cup. 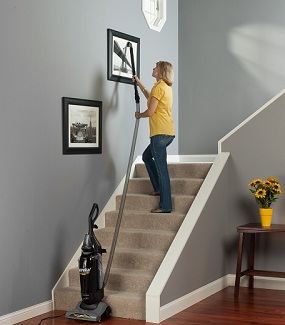 Other features include a HEPA filter which reduces dust, dirt and allergens and a 27 feet long cord which allows you to clean around the house without having to change outlet points. It weighs 18.5 pounds and measures 15"W x 12"L x 44"H. It is backed by a 3 year limited warranty. • Moving brush roll, power switch should be in suction only position when using hose. • Do not use the cleaner without the filter and bag properly installed. This can damage the cleaner. 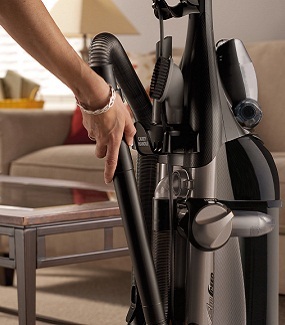 • To avoid unnecessary service calls, check the hose, dust cup and motor filter often. 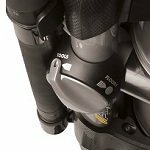 Clear a clogged hose, empty the bag if it is full, and clean the motor filter when it is dirty. 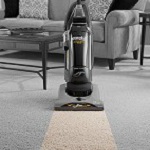 Allows this vacuum to clean floors faster with an extra wide cleaning path for greater floor coverage. Lets you know when the bag is ready to be changed. 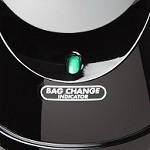 Changing bags regularly, as needed, will help maintain optimum performance. Pet Power Paw removes pet hair from carpet and upholstery. Plastic teeth loosen it, a rubber strip grabs it and bristles remove it. 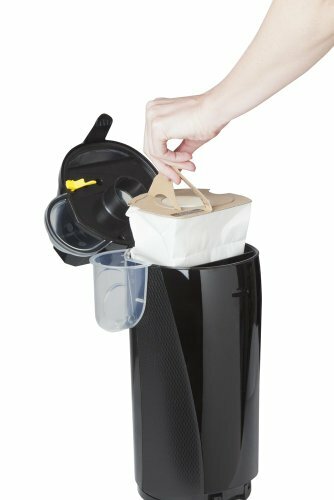 An easy to change bag system with a high filtration bag that conveniently keeps your home fresh and clean without the mess.